A balun, if you really want to be precise, is a conversion device that turns a balanced signal into an unbalanced one or vice versa. That’s why it’s called a “bal/un.” (If you speak Spanish you probably thought it had to do with dancing.) What that means is that it converts between two types of electrical circuits: one that has two signals of opposite polarities and one that is just one signal and a ground. When would you use a balun? The most common use of a balun for folks who read this blog is to convert from flat antenna lines (300 ohm impedance) to coaxial cable (75 ohm impedance.) Antennas themselves use 300 ohm wiring. Coaxial cables travel from the antenna to the TV, providing better shielding and durability. A balun converts the antenna’s signal so that it travels on a coaxial cable. 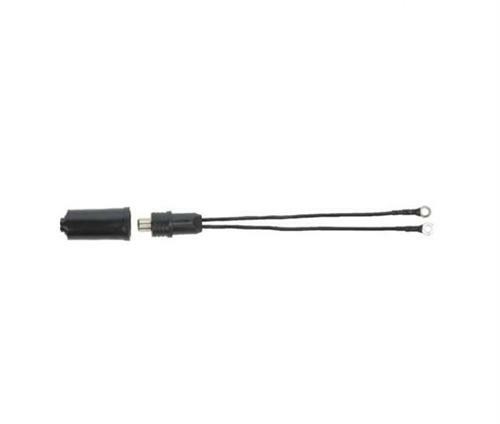 Less commonly, another balun can be used at the television or audio receiver if that device has a 300 ohm connection point. Every antenna sold today uses a balun, because coaxial cable is the standard for TVs now. It’s more durable and less likely to suffer from interference. Interestingly most 75-ohm cable isn’t any better at keeping the signal nice and strong. However, all modern amplifiers connect to coaxial cable. It’s practically impossible to find one that doesn’t. Baluns work with network cabling if coaxial cable is used. In this case the balun converts the signal to use the more traditional RJ45 connector. A similar product works with video cameras that send digital data over coaxial cables but need to connect to a DVR requiring a pair of individual cables. Terms like “balun” tend to grow in popularity and people don’t understand where they come from, so the term has come to mean any device for converting between two fairly different types of signals, for example from VGA to HDMI. Technically VGA and HDMI are both balanced signals. However we don’t refer to the converter as a “balbal.” That’s partially because that’s “balbal” is a really stupid sounding word. The correct term for a wire that converts VGA to HDMI is a “dongle” (admittedly also a stupid-sounding word) but it’s ok to use the term “balun” here as well. Other than their use in antennas, baluns of all types grow and shrink in popularity. It all dependins on what new technology comes out. Right now for example HDMI is a very stable technology. On the other hand VGA hasn’t really been “a thing” for a long time. So, the need for a converting cable that goes from one to the other is pretty low at the moment. However, if USB-C/Thunderbolt takes over from HDMI, things will change. Suddenly you’ll need some sort of adapter to make new tech work with old tech. It’s very possible in the next several years. That’s where the balun does its best work. Are you looking for a replacement for a broken antenna balun or something similar? If so, Solid Signal has a wide variety of baluns for all sorts of uses… shop now!